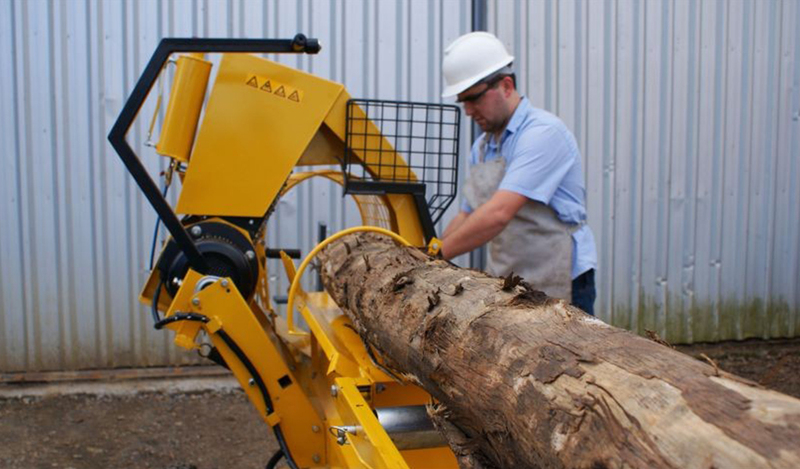 Cutter and log splitter, wood processor features an innovative system for firewood to drive by electric motor. 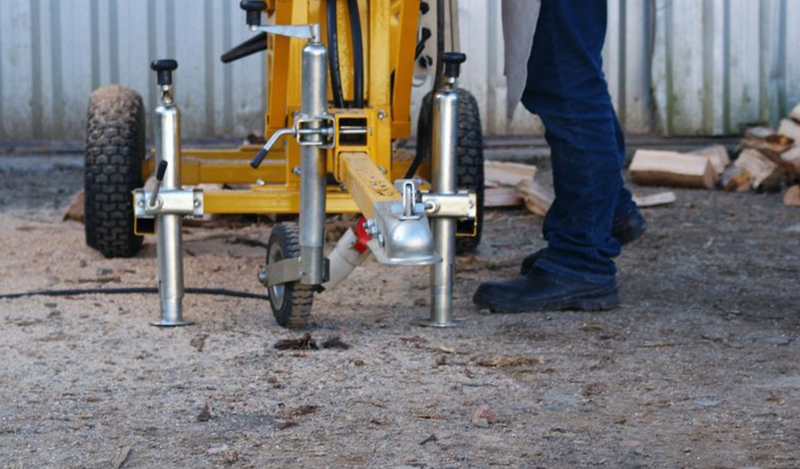 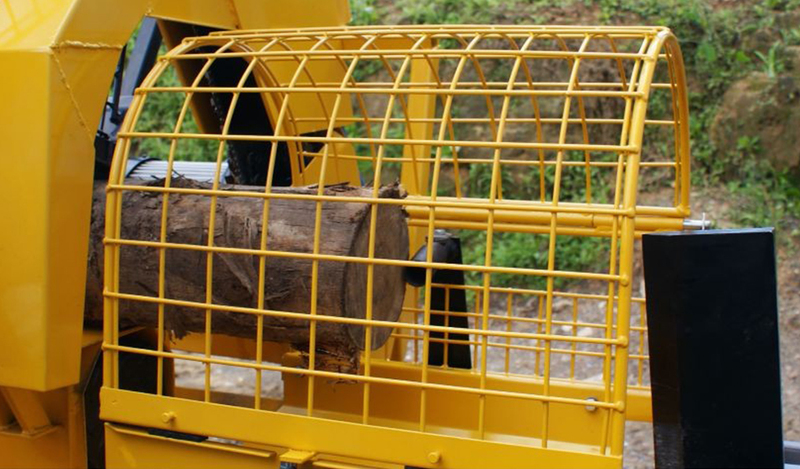 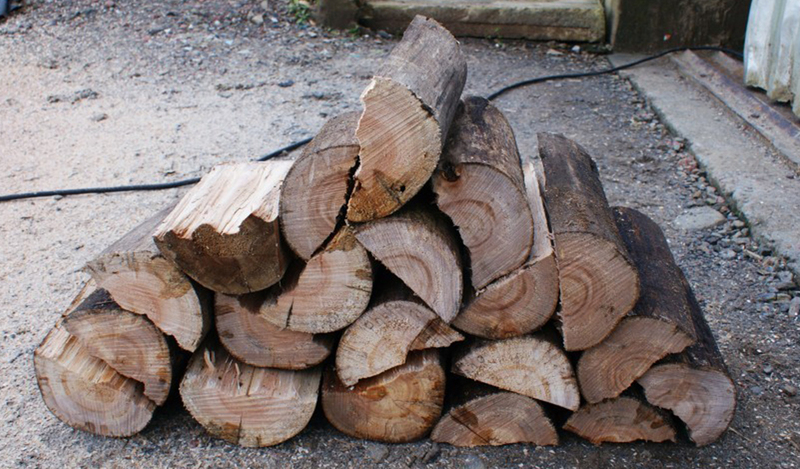 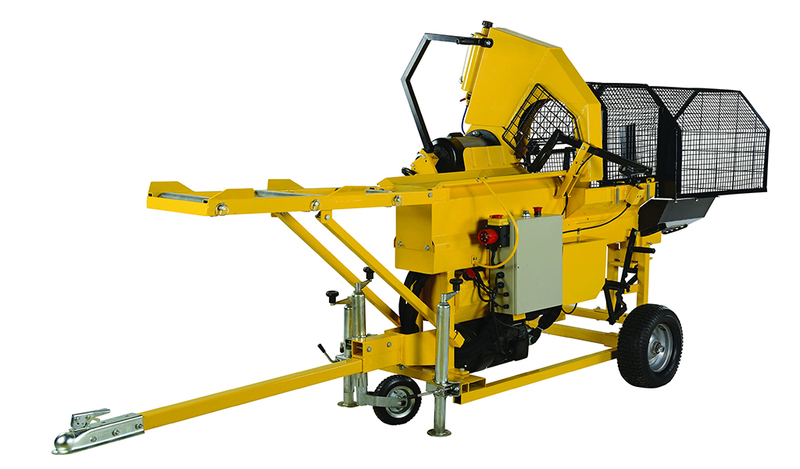 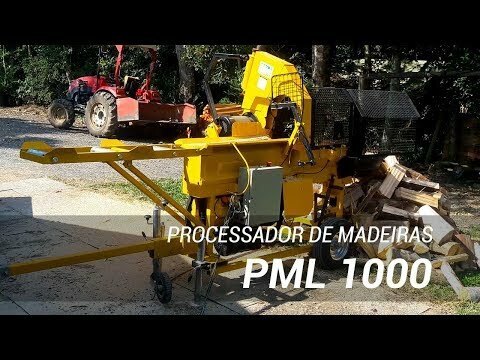 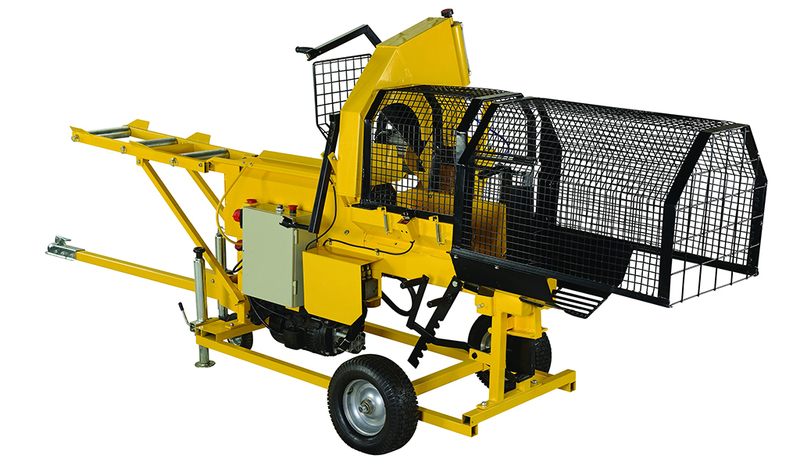 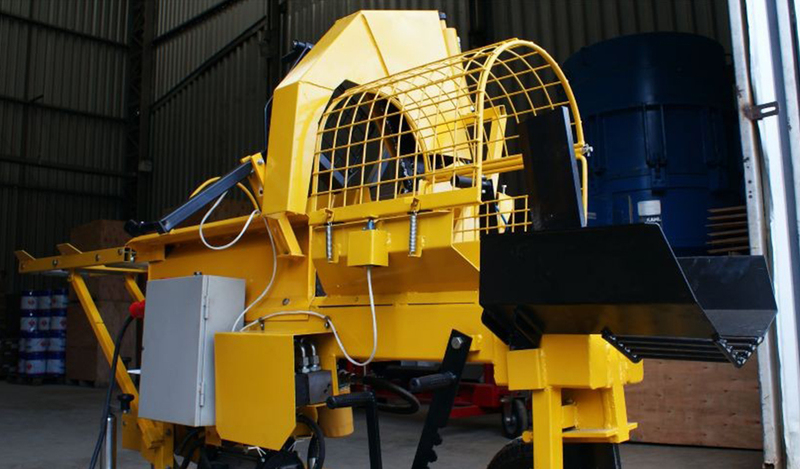 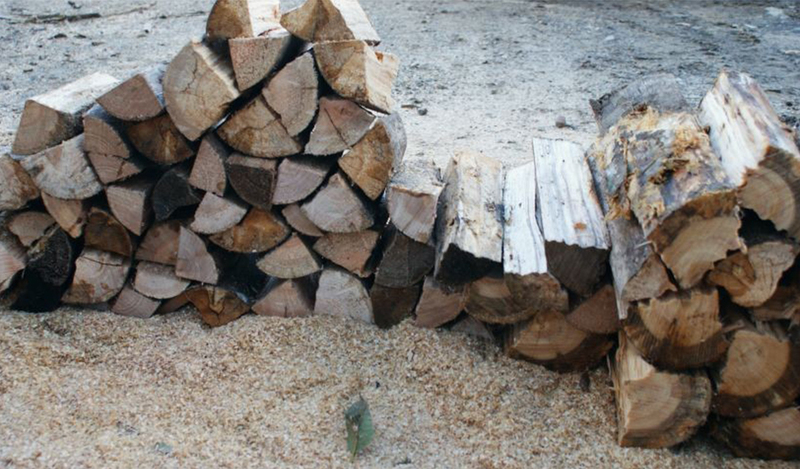 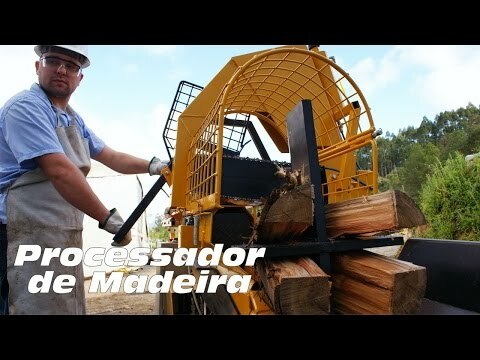 The PML 1000 log processor is a device for firewood for commercial use. 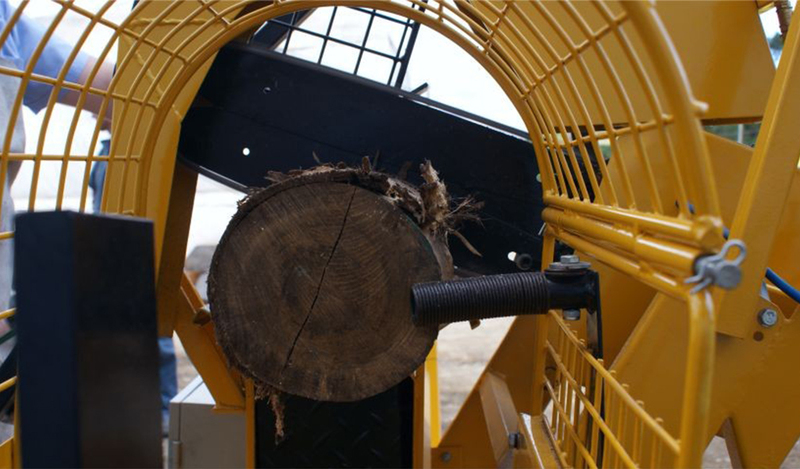 The machine receives the entire log, and with a saw, cut the log into smaller pieces. 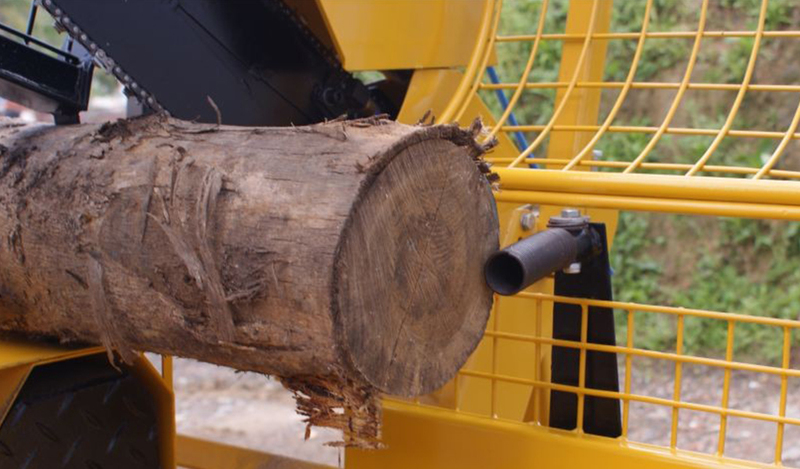 For convenience, the processor has a delimiter that allows you to adjust the length of the log in this way, all logs will have the same size. 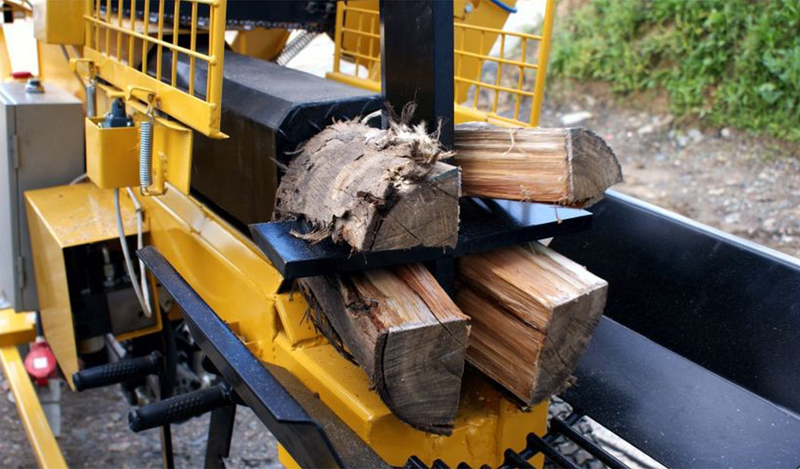 After cutting, the log fall into the splitter, which pushes the pieces of log against a wedge, which can split into two or four parts, adjustable to every need. 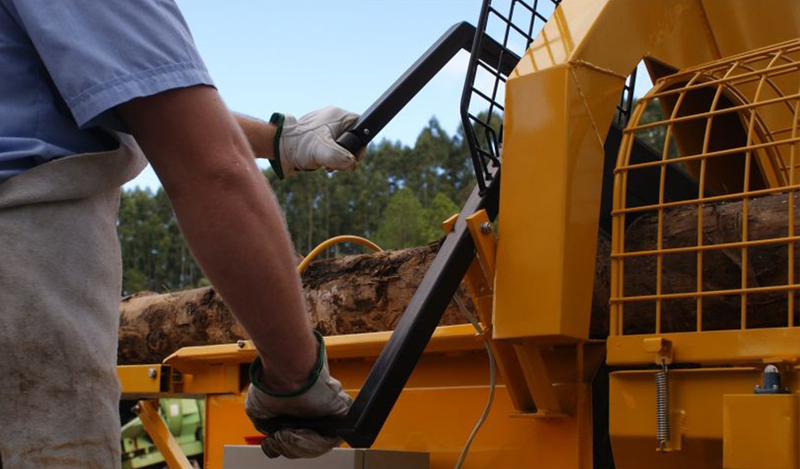 The cutted wood is pushed out of the process or a mat (optional), which carries the wood for a more remote cell equipment. 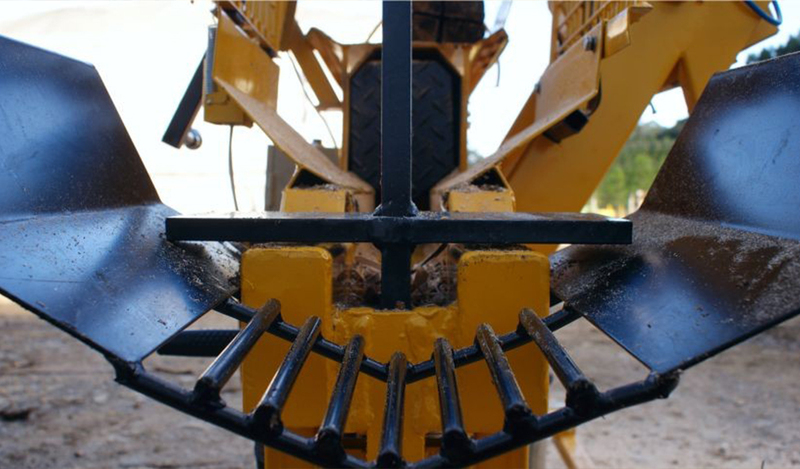 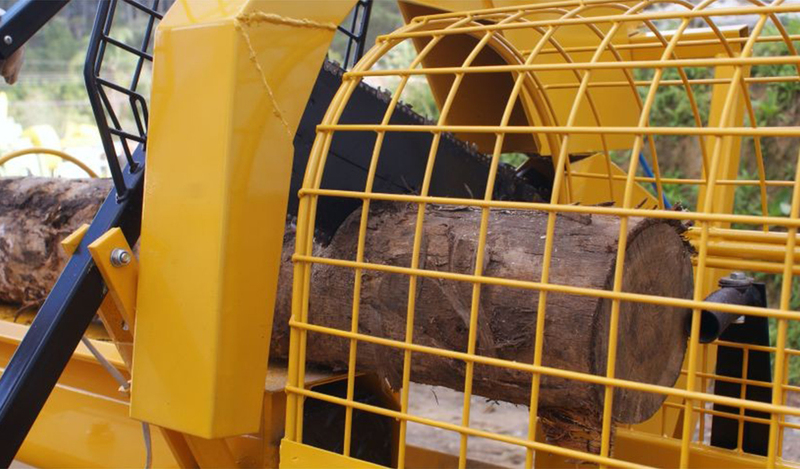 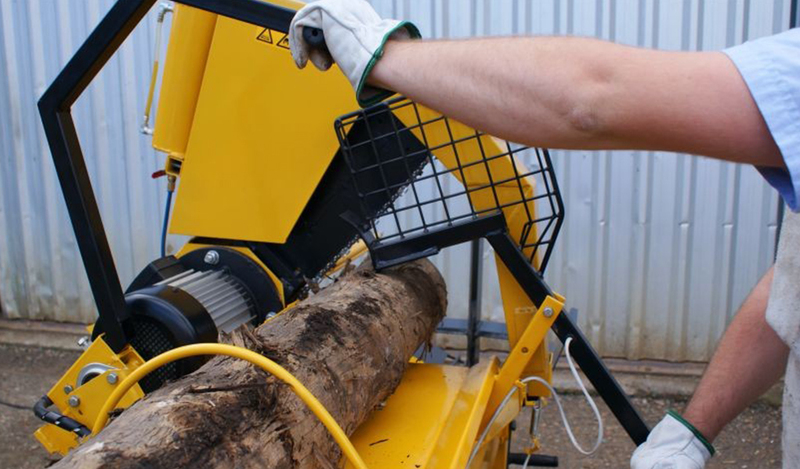 The processor supports logs up to 300mm in diameter and can cut logs from 300 to 550 mm long. 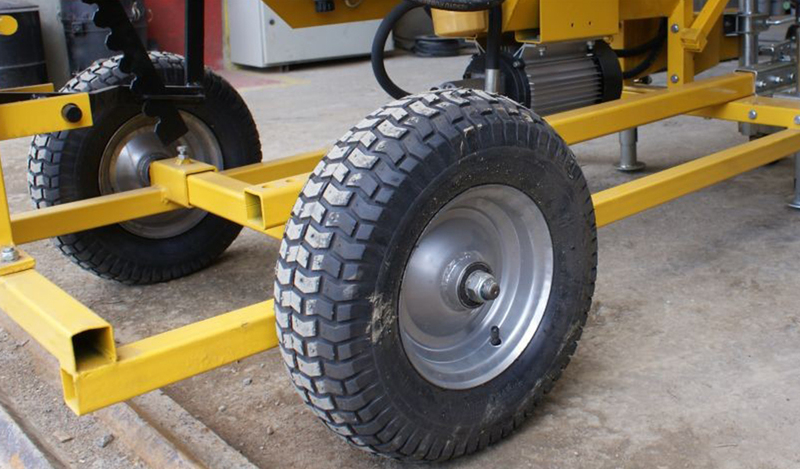 The drive is via an electric motor and its power to is 7 tons.